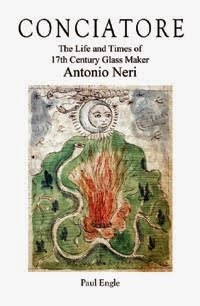 We remember Antonio Neri mostly for his book on glassmaking, L'Arte Vetraria. However, he thought about himself a bit differently; he considered himself first and foremost an alchemist. This interest can be traced to at least two generations before him; his father, Neri Neri, was an acclaimed physician – in fact, the personal physician to Grand Duke of Tuscany, Ferdinando I de’ Medici. Antonio's grandfather, Jacopo Neri, was a barber-surgeon. Both of these professions required an extensive knowledge of herbal distillation and other techniques which are shared by alchemists. 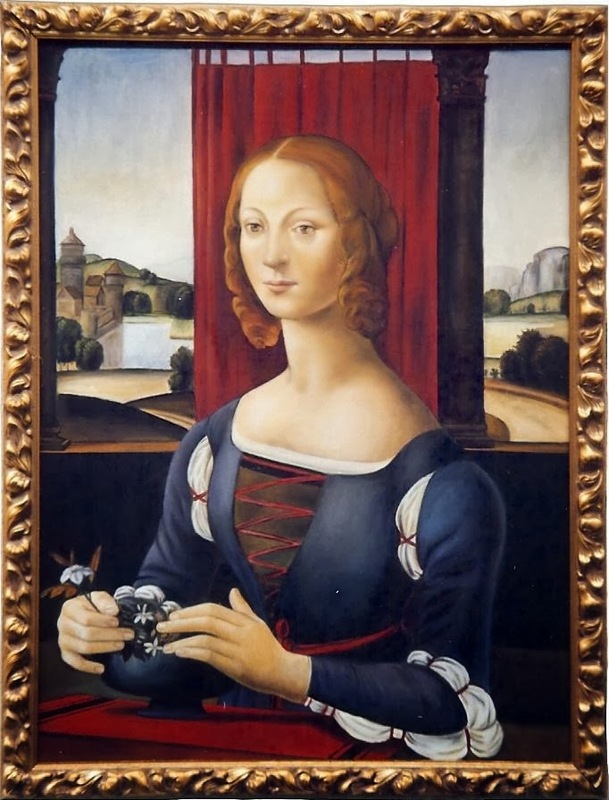 Antonio's benefactor, Don Antonio de' Medici, also followed a family passion for the chemical arts, in his case, traceable through an unbroken chain, to a female alchemist, his great-great-grandmother, Caterina Sforza, (c.1463–1509). After her death, over four hundred of her formulas were passed down to her son, Giovanni dalle Bande Nere, then to his son Grand Duke Cosimo I de' Medici, Grand Duke Francesco I, and finally to Don Antonio. 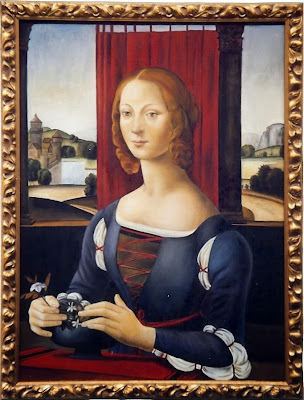 Caterina was the illegitimate daughter of the Duke of Milan, Galeazzo Maria Sforza, but was still educated at court, and apparently 'apprenticed' apothecary Ludovico Albertini. At age fifteen, she was married to a nephew of Pope Sixtus. The pope granted her title of Countess of Forlì and Imola. After her territory was later taken and her husband murdered (by a faction of their own people), she escaped prison and retook the two cities. In 1495, when her second husband was assassinated, she launched a campaign which gutted the families of the murderers. Her third husband was Giovanni de' Medici, and their son, named after his father would become a brilliant military strategist, like his mother. His own son, Cosimo, would later become the first "Grand Duke" of Tuscany. Her chemical recipes were transcribed in 1525 by a captain in her son's army, Count Lucantonio Cuppano da Montefalco, and ultimately published as a book in 1893 (Pasolini). Included are an assortment of formulas which range from cosmetics, to medical remedies, poisons and alchemical concoctions. Lost among the romanticized military conquests is a thorough account [of] the project that occupied several years of her life—the manuscript of her alchemical and medical experiments and recipes titled Gli Experimenti de la Ex.ma S.r Caterina da Furlj Matre de lo inllux.mo S.r Giouanni de Medici, or Gli Experimenti. The text is an early example of what would later become the popular medical genre of "Books of Secrets", but is so early that it does not appear in most modern writing on such books. Furthermore, Gli Experimenti is unusual because it was written by a woman in an otherwise male dominated genre, and unique in that we know a great deal about the life of its author. Among the alchemical entries are "to convert pewter into silver of the finest quality and of standard alloy," a method "for giving to bars of brass a fine golden color" and another for "for multiplying silver." Also, there are ways described to "make iron hard," "to dissolve pearls" and "to dissolve all metals." In the medicinal category, we find "for infirm lungs, an ointment is to be made of the blood of a hen, a duck, a pig, a goose, mixed with fresh butter and white wax." This was to be applied to the chest with a fox's skin. Caterina Sforza was painted many times and often depicted as the Virgin Mary, a typical trope for the nobility at the time. She may have been immortalized by Sandro Botticelli as the rightmost of the three graces in his Primavera and as the main subject in The Birth of Venus. Reportedly, she was the subject of ballads and sonnets, although most have been lost. She is a topic of discussion in Niccolò Machiavelli's famous treatise The Prince. In the end, our alchemist's territories were confiscated by yet another pope, Alexander VI, and her story does not end well. She was captured, raped and imprisoned. Alexander justified her incarceration, in the Vatican's Sant'Angelo Castle, by claiming she tried to poison him. She survived the ordeal, but after release entered the convent of the Murate nuns in Florence, and died, in 1509, at the age of forty-seven. She was buried at the convent, in the same city where her future great-great-grandson, Don Antonio, along with Antonio Neri, would perform their own alchemical experiments and help usher in the age of modern science. 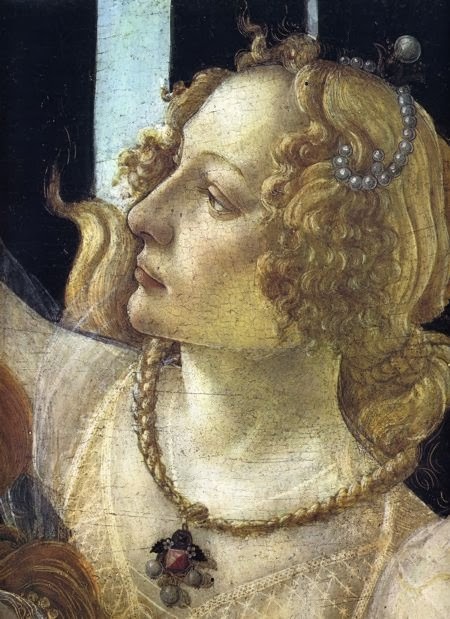 Another possibility for the model of Venus was Simonetta Vespucci. *This post first appeared here on 27 January 2014.